Our mission - adaptation, launch and promote your business in the Internet . We know how to run a commercially successful project and are willing to tell you about it. Want to know how we are working on your projects? Over the years, we have created hundreds of websites for clients from different countries and on the basis of the experience developed their own approach to the creation and promotion of sites . At the heart of any successful project is understanding your customers or marketing. What kind of site you want to develop? What colors should be on the site? What budget do you have for promotion? What keywords to use for SEO? At this stage, the fatal mistake made by entrepreneurs & nbsp; - start work on the project without setting strict goal. No understanding about what we are going to create or advertise. Our approach is Think marketing, plan marketing, do marketing. What are the unique characteristics of the product are? What are the benefits customers receive when purchasing? The result of the work at this stage is a document that describes the benefits of a particular product and the company as a whole. This document serves as an analogue of the project during the construction of the house. How it is used in the website development? 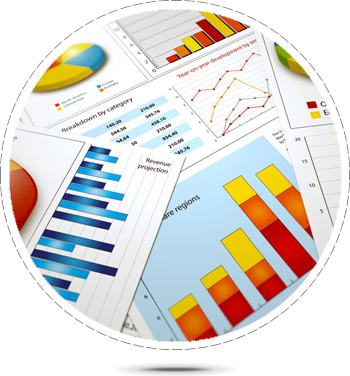 During website development we take into account the information obtained during the analysis stage selling proposition. Sketches site created with the view to focus on the essence of proposal. The essence of the unique selling proposition boils down to two main points - the absence of a skeleton have erected constructions and the price per unit area. Next comes a series of additional benefits structures and usage examples. 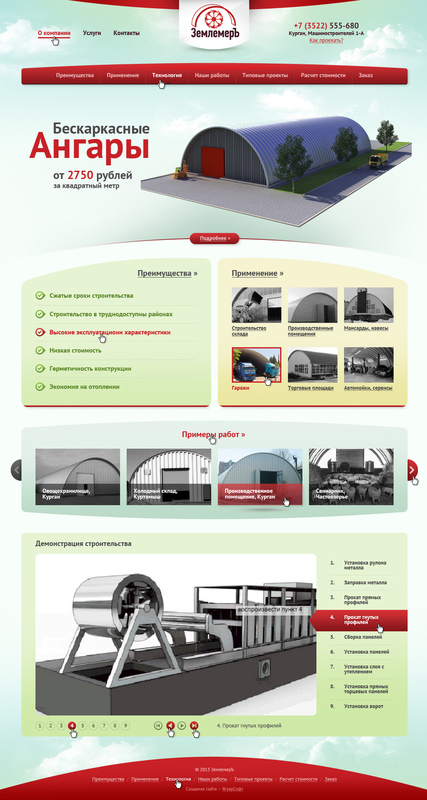 The availability of the list of objects constructed to highlight the experience of the company. 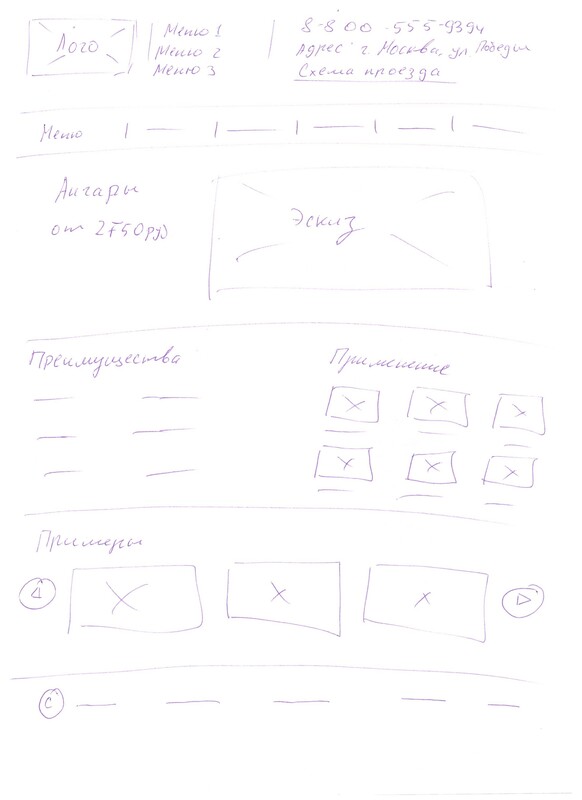 First, we created a sketch on paper together with the client, which reflected the key points of the proposal. 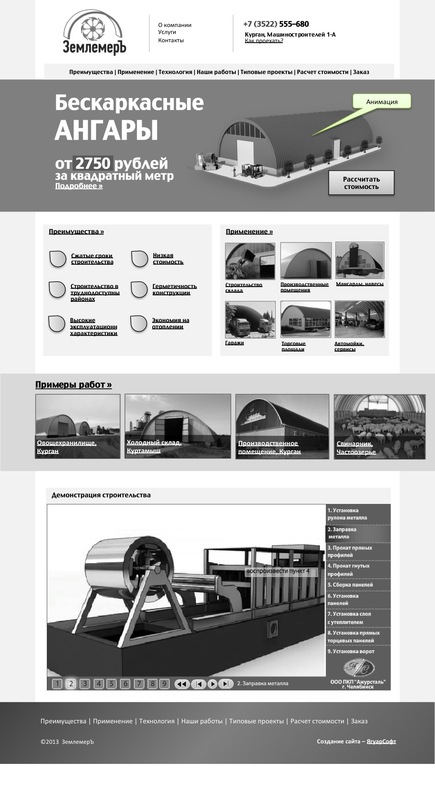 Next, you create a black and white layout, which displays more detailed information you need. The model is then transferred to the designer, who has created the ultimate look of the site. Understanding the customer's business allows us to create more effective campaigns that generate more customers for smaller budget. The aim of the project was the launch of an advertising campaign in Google AdWords to attract English-speaking clients. Together with the customer, we were able to highlight a key benefit - free transfer from any hotel at a convenient time for the buyer. Always the most time consuming step - to prepare materials for the site. It includes description of the company, description of goods and services, photo and video materials, customer reviews, and much more. In what order to place blocks of information? What kind of information should be included in each block? How much information is enough for the potential customer? What kind of image to use and what description to give? Where, how and what links place on page to prevent leaking of the user's focus? 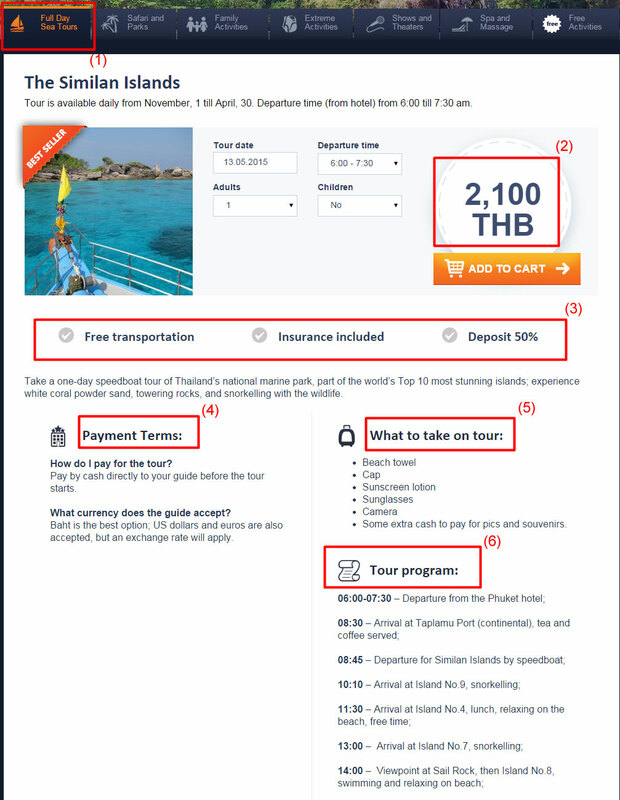 What to do after the site is created and it already has a certain flow of visitors? At this point, we come to the next stage of work - analysis and improvement of the results. Calculate conversion rate - how does your website work? 1 out of 200 your clients? You need to get some help immediately! Analyze website marketing - what questions does your customers ask prior payment? What doubts do they have? Please feel free to drop us a message and we will help you to build website, get it promoted over Internet or get your conversion jump to the next level.